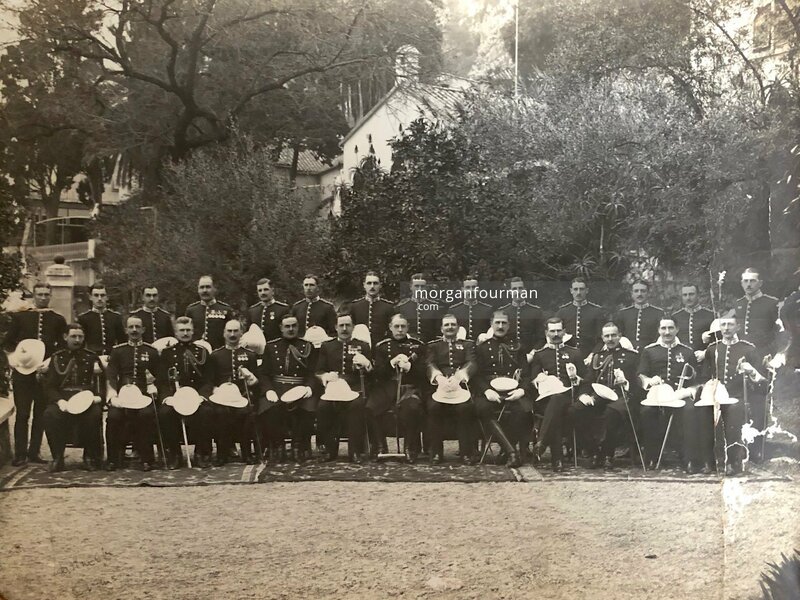 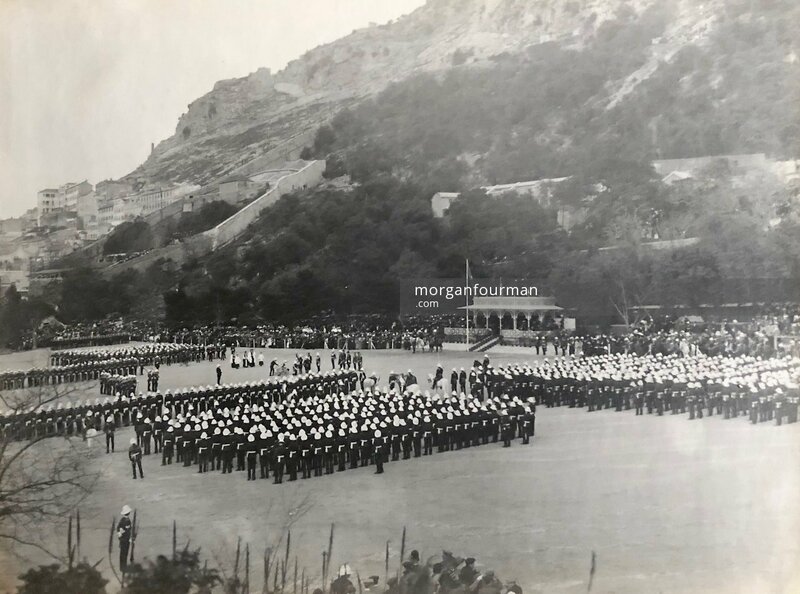 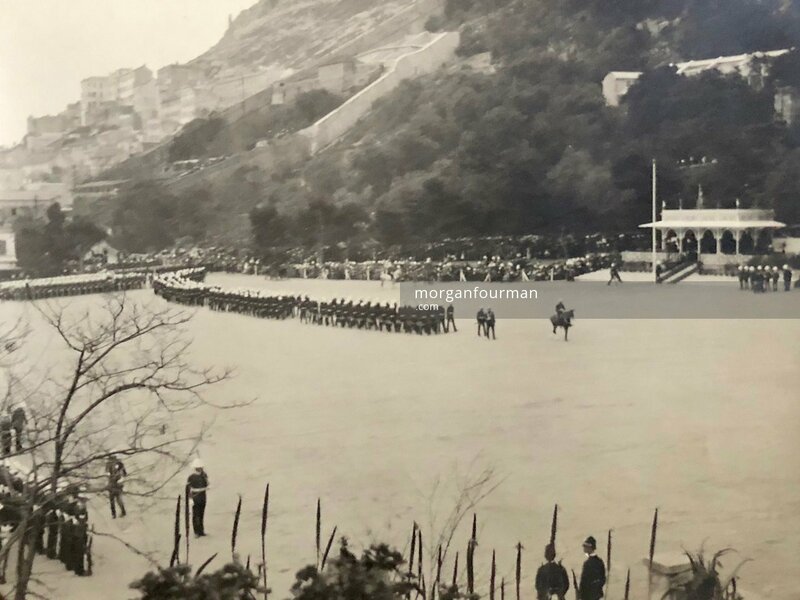 We have a fine collection of annotated photographs of the Presentation of Colours to the 1st Battalion of the South Staffordshire Regiment by King George V on 31 Jan 1912. 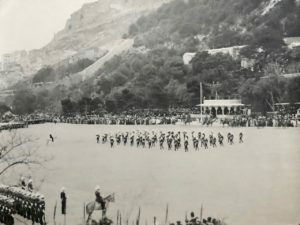 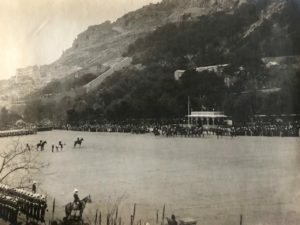 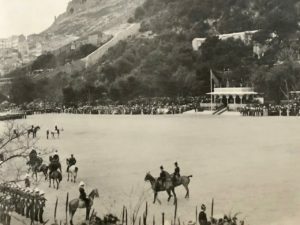 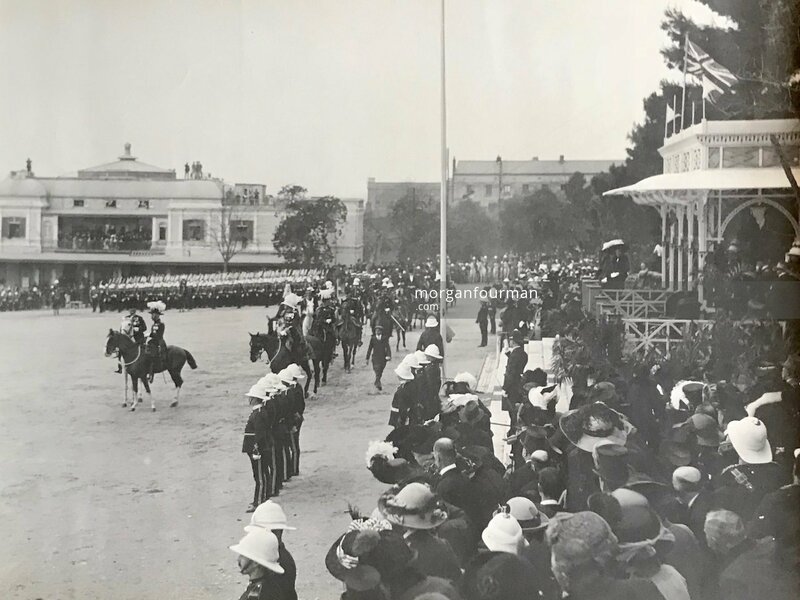 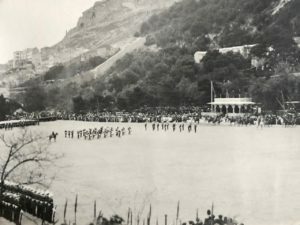 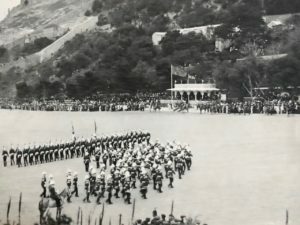 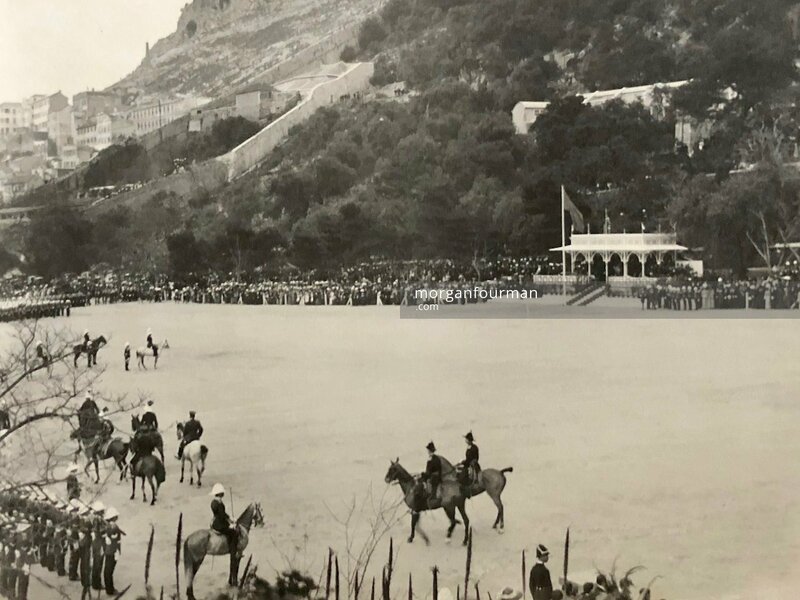 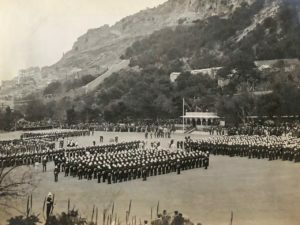 The event took place on the Alameda Parade, Gibraltar and would have been redolent of historical connections of the regiment – the Old Colours had been presented on the same ground on 5 Jan 1887. 2nd Lieutenant Wilmot Evans would have been in the regiment for 18 months by this time. 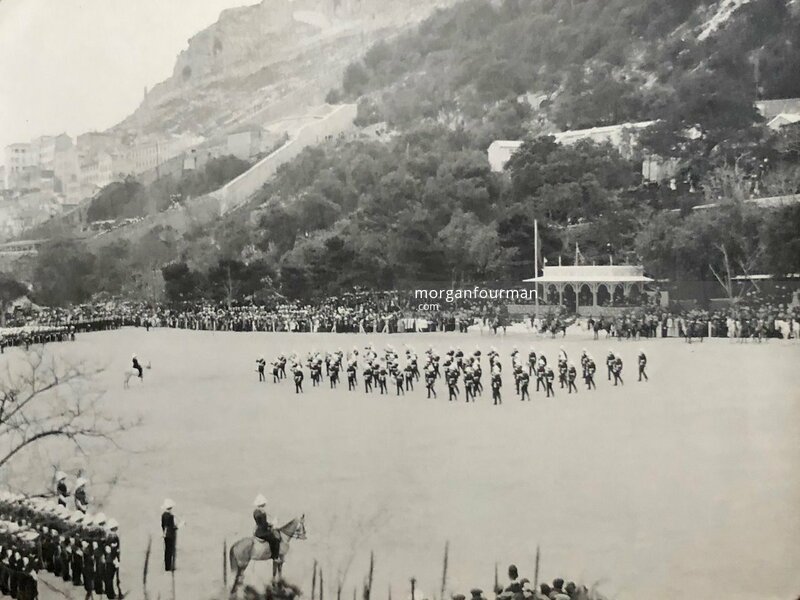 He certainly would have been conscious of the family military traditions in that his great great uncle General Thomas Evans CB had been the military commander of Gibraltar in the 1830s. 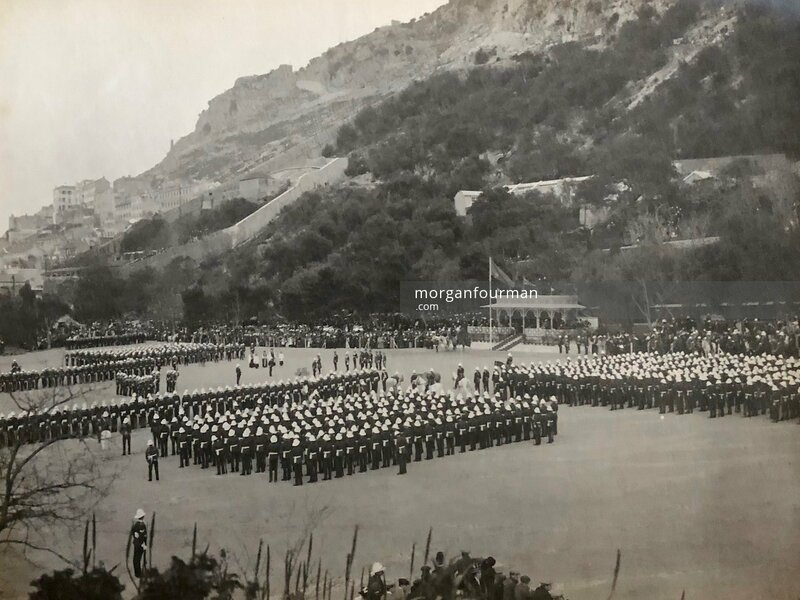 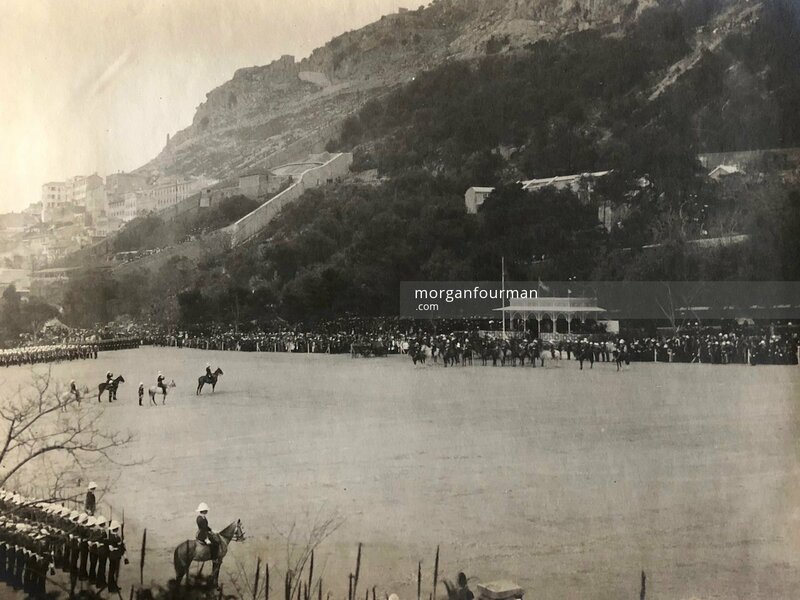 The regiment was stationed in Gibraltar from Feb 1911 to Jan 1913 when it was posted to South Africa. The original Programme published for the event lists officers present at the ceremony although this is unfortunately not tied yet into the photograph below. 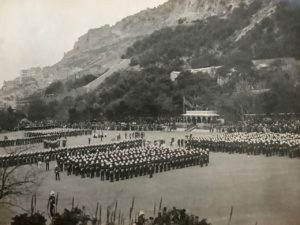 Captain Herbert John Collett Leland, D.S.O. 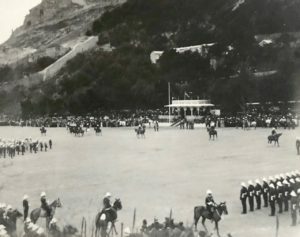 Photographs taken by S.Q.M. 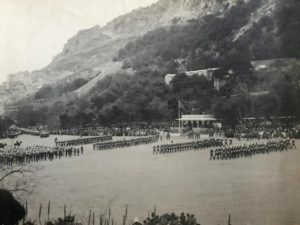 Sergeant G. Woodfield A.P.C. 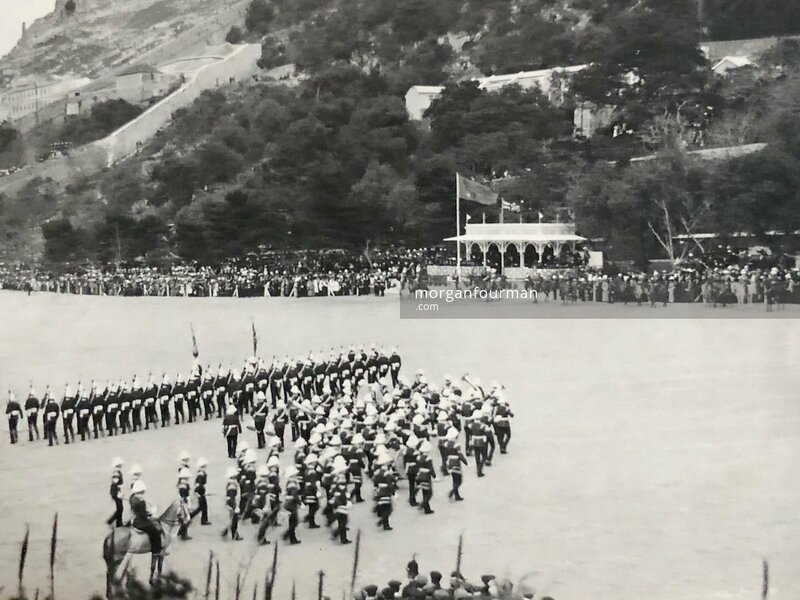 illustrate the ceremonial order of the Presentation of New Colours.